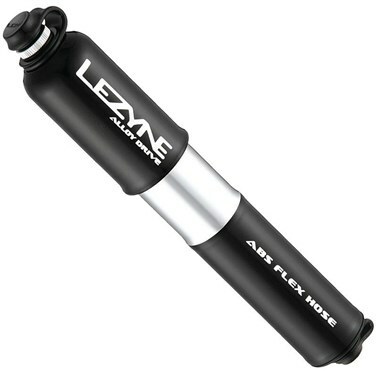 TheLezyne Alloy Drive Hand Pump is small in size but mighty in output. It's made entirely of custom CNC-machined aluminum for precise and lightweight construction. The HV design allows this pump to inflate tires to riding pressure with 30% fewer strokes compared to conventional hand pumps. The overlapping handle and barrel with oversized piston and shaft are integrated into a compact design. Comes equipped with the ABS Flex Hose and a Composite Matrix frame pump mount.